January 10, 2018 (HAIFA, ISRAEL) – Over the past few decades, research groups from around the world have been addressing the challenge of splitting water in order to produce hydrogen. The reason for this interest is that hydrogen fuel is a ‘green’ and ecological alternative for existing fuels, produced from an inexpensive and readily available resource – water. It is also the only by-product of hydrogen-powered cars, which is in stark contrast to the polluting fumes that gasoline-powered vehicles emit. 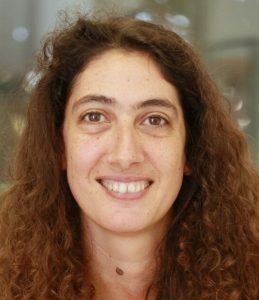 In an article published in the Nature Catalysis, Assistant Professor Galia Maayan of the Schulich Faculty of Chemistry at Technion – Israel Institute of Technology presents a molecular complex (also called an artificial molecular cluster) that dramatically improves the efficiency of water oxidation. It does so by biomimicry – a field of engineering inspired by nature (bio=life, mimetics=imitation). In this specific case, the inspiration comes from the process of photosynthesis in nature. Photosynthesis is a natural process that developed in plants, bacteria and algae through evolution. 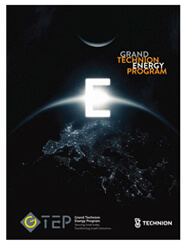 Energy from the sun is used to transform water and carbon dioxide into organic material and oxygen. This process is vital for life on Earth, because all animals incapable of performing photosynthesis (including human beings) are nourished from the food chain whose first link is photosynthetic bacteria. In addition, the oxygen we breathe originates in photosynthesis. Manganese (Mn), is one of the essential elements in the photosynthesis process. Inspired by nature, much research was conducted in order to enable the utilization of manganese as a catalyst for water splitting, in combination with electricity as an energy source, aiming to produce hydrogen – a process known as water electrolysis. Each molecule of water, H2O, contains one oxygen atom and two hydrogen atoms, which are split using energy from an electric current. This is done with a cathode and an anode; the cathode contributes electrons to the water and attracts oxygen, and the anode takes electrons from the water and attracts hydrogen. This is a very challenging process, often requiring large amount of energy to set it in motion. Moreover, Mn-based catalysts are often unstable and decompose rapidly during this process. 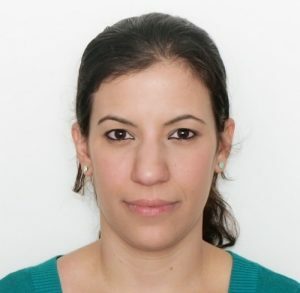 The molecular complex developed by Maayan is expected to change this situation. This cluster, which is actually a complex molecule called Mn12DH, has unique characteristics that are advantageous when splitting water. Experiments conducted with this complex demonstrate that it produces a large quantity of electrons (electric current) and a significant amount of oxygen and hydrogen, despite a relatively low energetic investment. No less important, it is stable – meaning that it is not easily demolished, like other Mn-based catalysts. Much of the work described in the article was carried out by the student Naama Gluz as part of her M.Sc. studies under the supervision of Maayan. Gluz is continuing to research the unique manganese complex as part of her doctoral studies. In preliminary experiments, she was able to demonstrate that the complex is capable of splitting water through exposure to light from a simple lamp. In the future, this will make it possible to produce oxygen and hydrogen in large quantities and very rapidly. The idea is that eventually the process will work with solar energy, without requiring electricity.